When choices for anabolic supplements was narrowed users started crying for something that worked just as well for bulking as the pre-ban goods, our Pro Support staff got down to business working with customers and pulling from their knowledge base. But would they be able to come up with something that would deliver? It was from this methodology that the Mandro the Giant Stack was born. 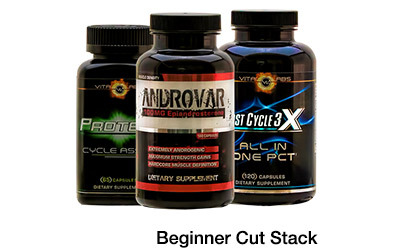 Available in three different levels based on user experience and training intensity, the Mandro the Giant Stack combines the top two ranked bulking agents on the market to get you next-level jacked. Your next 30 days will be comprised of the heavy hitting duo Super Mandro (1-andro) and Andro the Giant (4-androsterone), shown to yield significant muscle gains on their own, but when stacked together with a mix of synergistic components are nearly unrivaled in results. In fact, one study out of Texas A&M showed that 1-andro alone over a 30-day period led to an average gain of 8.8 lbs solid, lean muscle (1)! 4-andro, on the other hand, converts to testosterone and leads to increased mass and strength. The standard Mandro the Giant Stack includes both of these Top 10 champs plus Protex, our top on-cycle support supplement, to help protect your organs and detox your liver during your cycle. The Gold Stack is a step up for those who really push themselves, including our top PCT – PCT 3X – and joint supplement – Joyful Joints – to aid in easing dry joints, which is sometimes a side of using the andros. And finally, if you’re an advanced user, we have the Mandro the Giant Platinum Stack – the ultimate lineup to get you not only huge, but well-defined. 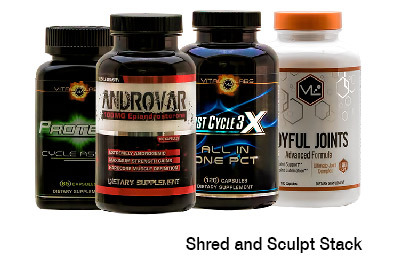 You’ll get the cutting edge test booster Sergeant Steel and reigning #1 cutting agent Androvar, plus an estrogen blocker to knock out the “wet” gains and help you achieve the massive, chiseled look you’re after. Created from the Top 10 Supplements Lists based on not just our expert opinions, but the statistical models generated for repeat purchases and stellar feedback from countless customers, the Mandro the Giant Stack was built for colossal results. 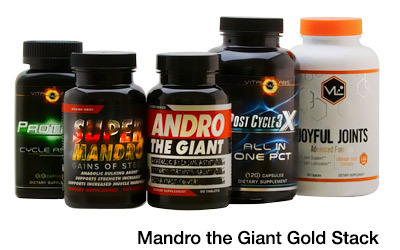 If you’re ready to stop playing around and start training with the real contenders, you can find Mandro the Giant Stacks exclusively from Strong Supplement Shop. Strong Stacks are the best way to get the industry’s top products properly matched to complementary and often necessary agents all based on our experience and the results of thousands of customers. 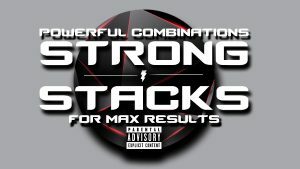 Strong Stacks take the guesswork out of the process. Check out all the Strong Stacks currently available here, and make sure you’re subscribed to our updates as we breakdown the different stacks in the coming weeks. Oh ya, and there may even be some new additions as well. You can purchase the Mandro The Giant Stack Here.